Steelcase Leap Review: What features make this a good office chair? Compared to other chairs in its feature-range, the Steelcase Leap leads by miles. Steelcase Leap chair is used LiveBack technology. This chair is sophisticated in design, ergonomic in style and long-lasting in material choice. Would you like an office chair that is easy to assemble, which has been constructed for your health and comfort? The Steelcase Leap chair is best for you. As you will see in this Steelcase Leap Review, this chair is sophisticated in design, ergonomic in style and long-lasting in material choice. Steelcase is known for its incredible office and task chairs. However, with the Leap and the Gesture chairs, they obviously went an extra mile to bring office employees the very best. This easily qualifies to be the most comfortable office chair 2019, with so much customizability to meet all of your posture support needs. Sometimes when you have a tough office job, you just have to reward yourself with a good high-end chair. Well, mostly we figure that any office chair that costs several hundreds to a few thousands of bucks to be a high end chair. Such chairs not only come with many ergonomic features, but they are also very comfortable, something that enhances productivity in the employees. 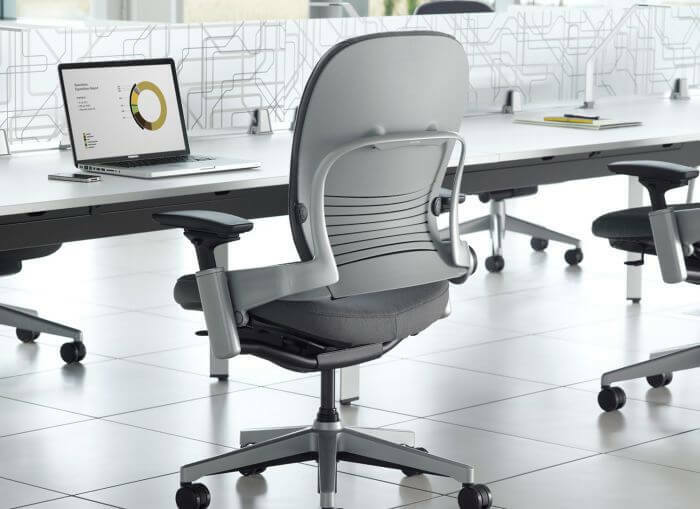 Compared to other chairs in its feature-range, the Steelcase Leap leads by miles. 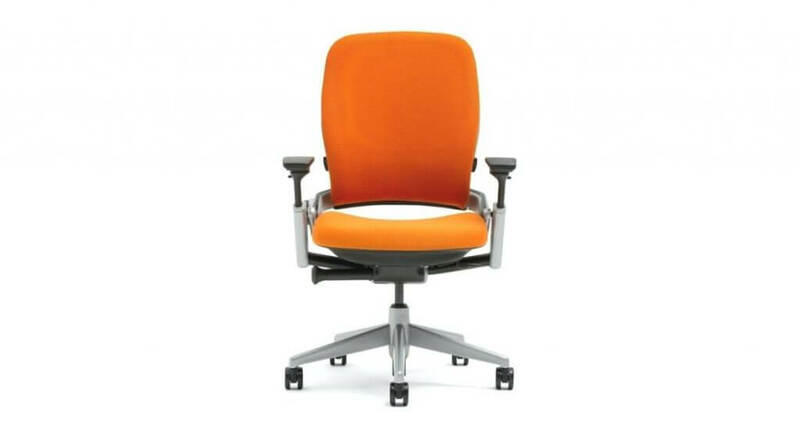 For example, when compared to Herman Miller Embody chair, it leads because of the ease of assembly. It also retails at a lower price. You can see more about this chair in the upcoming sections. The first one, just as in the Steelcase Gesture chair is the LiveBack technology. This is the design that enables the backrest to adjust automatically as you change your posture. Whatever posture you may adopt on this chair, it will be supported because the backrest follows your movement on the chair. When you lean forward to type on your computer the backrest leans forward with you. You will find the adjustable seat depth very helpful. Whether you are tall or short, you will find that most of the time, the length of your legs is not proportionate to the size of your torso. Thus, you may need to adjust the seat depth alone for the comfort of your legs. This is the most comfortable office chair 2019 as you will find 5 recline positions pre-engineered into the mechanism of the chair. Just tweak the controls until you find the best office sitting posture for you and then lock the settings in place. The good thing is that once you have set it up, the settings are never lost unless you change them. The adjustable tilt angle of the backrest makes this chair quite user-friendly, able to meet the needs of different users. The lumbar support for the Leap chair is adjustable. The knobs for adjusting the S-shaped lumbar support are located on the side of the chair frame. You can move it up or down to give your lower back support just where you need it. You do not even have to rise up when adjusting it. Slide the armrests down or up to adjust their height accordingly. You can also slide the pads forward and backward until you hear them click into place. To accommodate a wider person or give you more space for maneuverability, just pivot the armrests outward. There will be no rattling sounds at all since these armrests are quite solid and stable. Lastly, the chair’s upholstery is very breathable for aeration. This is a very important feature especially for the hot summer months. Without a breathable seat or backrest material, you may find it quite uncomfortable to work on this chair for long hours. This is without doubt the best chair for posture support as you have seen in this Steelcase Leap review. Although it is a pricey chair, you can see that the features warrant the high price. Thus, when buying the best office chair for your health, you should always try to find a balance between the price and the features. Hopefully, this review has shown you why work can be fun with the best ergonomic office chair.